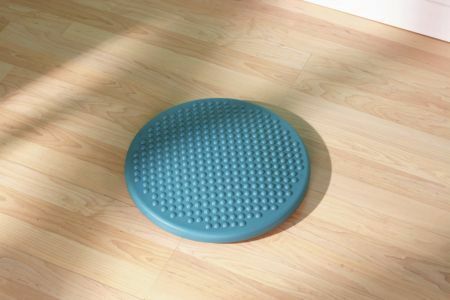 The Disco Sit Air Cushion is an inflatable dynamic cushion.It can be used on the floor for balance training, proprioception and strengthening of the lower extremities. 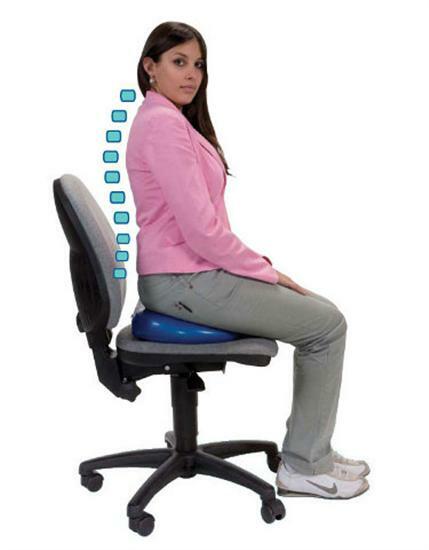 When used in a seat, it mimics both the movement and shape of a ball. Can be inflated orally. 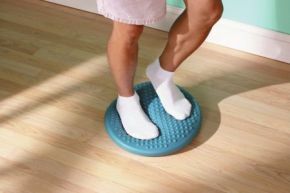 Does what it says, I bought it for balance rehabilitation, and it is enjoyable so I am more likely to keep up the exercises.